electrical, banking, sports and many other sectors too. and advance each retail space we encounter. Your retail fit-out begins with us investigating how any existing retail outlets work for you by analysing the consumer’s journey and how they spend their time while in your retail space. Along with talking with your employees and potential consumers, these processes focus and inform our design team of the positives and any potential negatives. With our extensive experience across many retail sectors we can bring innovative market trends and creative insights into your space while respecting your corporate identity and any building guidelines from landlords or developers. Taking your specific requirements into account, our designers and engineers will make material suggestions, balancing durability with desirability. Retailers are facing increasing pressure to develop more creative and innovative spaces to attract consumers. Whereas the focus used to be on local services for local customers, most now have to compete against the convenience of the internet. By improving their customer experience, ‘bricks and mortar’ stores cannot only compete, but succeed, going into the future. 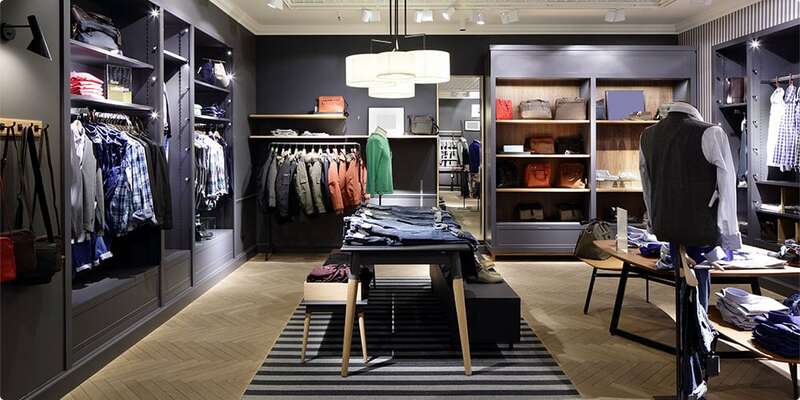 While you may think designing a retail space to fit a specific demographic may be the toughest part of a fit-out, equal thought must be given to the simple logistics of the location. RCE Services and our Project Managers have experience working on the high street and in shopping centres, understanding the incredible attention to detail required in planning in order to ensure a smooth, efficient fit-out.